During February and March the Council held several listening sessions for preparation of the Master Plan for Rancho Alegre reconstruction. All the comments and suggestions were taken and put together to form a draft Master Plan. The Council invites you to review the draft and submit comments of great features and features that could use some improvement or modification. 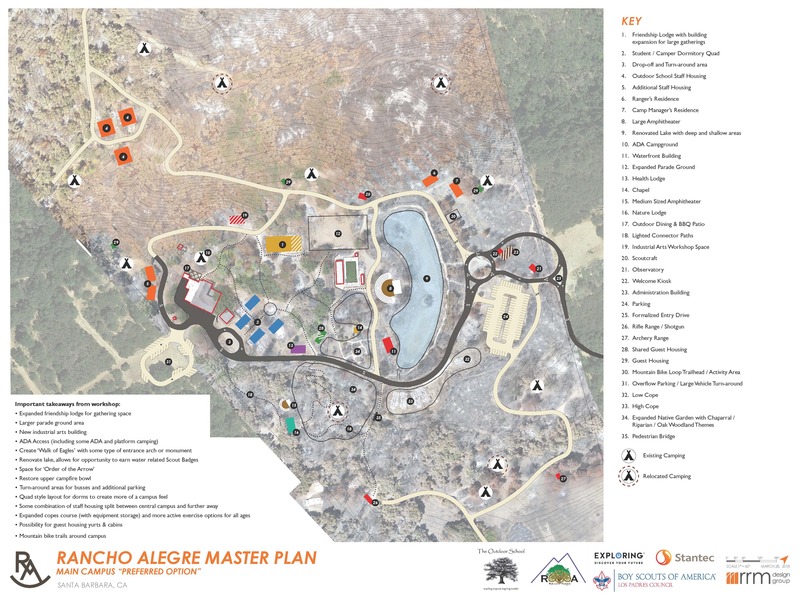 I am excited to inform you that Rancho Alegre’s “Master Plan” will be finalized soon. Attached is the version that is just about complete (90%). We have been working hard on this for several months and we are getting close to starting design and construction. We like to invite you to review the MP and identify anything that you really like or dislike, make note of it in the attached master plan update sheet and send it to me. We plan to adopt the completed plan by April 30 in order to stay on track of having Rancho Alegre operational in August 2019. Also attached is a list of some of the sponsorship and naming opportunities we will have at Rancho Alegre. Take a moment to review and see if you identify anything you would like to be involved with and sponsor. If you do, let me please let me know so I can follow up with you. Thank you for your continued support on this special and important project, we are all excited about the legacy we will build and the opportunities we will provide to our youth. For better viewing of this plan and its legend, it is recommended that you download and view this .jpg graphic in increased magnification on your computer screen. Please be sire to respond on the response form. We value your input!